1. To eliminate the black spots (vlek) in the face and scars on the skin. Mash until pulverized cinnamon bark and add a little water. Mix with cold powder and smeared on the scar. on the face and the scars fade. with a massage. Let it dry by itself, just washed. 3. Eliminating the veins of the legs. 4. Eliminate acne and itching in the skin. 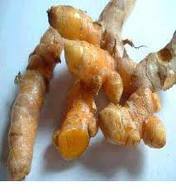 Use turmeric because it contains a natural antiseptic. and splash it on the pimple or the skin of the itch. § maintain the balance of air pressure in the ear and adjust the air pressure in the outside world. § drain the small amount of mucus produced by the cells lining the middle ear to the back of the nose. Otitis media is often preceded by respiratory infection such as strep throat or a cold that has spread to the middle ear through the canal Eustachius. Eustachius When the bacteria through the channel, they can cause infections in the channel, causing swelling around the channel, channel blockage, and the arrival of cell white blood cells to fight bacteria. White blood cells will kill the bacteria at the expense of themselves. As a result of pus formed in the middle ear. In addition, swelling of tissue surrounding the channel produced Eustachius cause mucous cells collected in the middle ear behind the eardrum. If mucus and pus grew a lot, hearing can be subject to the eardrum and small bones connecting the ear drum to the hearing organ in the inner ear can not move freely. Experienced hearing loss is generally around 24 decibels (whisper soft) . However, more fluid can cause hearing loss to 45 decibels (the range of normal conversation). In addition, the ear also will feel painful. And the most weight, which is too much liquid can eventually tear the eardrum due to pressure. As with the incidence of upper respiratory infections (ARI), otitis media is also one subscription disease of children. In the United States, an estimated 75% of children experience at least one episode of otitis media before the age of three years and nearly half of them experienced it three times or more. In the UK, at least 25% of children experience at least one episode before the age of ten years. otitis media in the country most often occurs at the age of 3-6 years. The cause of acute otitis media (OMA) to a virus or bakteri. In 25% of patients, no cause is found microorganisms. The virus was found in 25% of cases da da and n sometimes infect the middle ear with bacteria. Common bacterial causes of otitis media are Streptococcus pneumoniae, followed by Haemophilus influenzae and Moraxella cattarhalis. To remember the OMA, although most cases are caused by bacteria, only a few cases requiring antibiotics. This is possible because no antibiotics were Eustachius channel will open again so that the bacteria will be eliminated with the flow of mucus. § child's immune system is still in development. § Eustachius tract in children is more straight and shorter horizontally so that the ARI is more easily spread to the middle ear. § adenoids (adenoids: one organ in the upper throat that play a role in the immune system) is relatively higher in children than adults. Adenoid position adjacent to the estuary channel Eustachius so large adenoids can interfere with the opening of the channel Eustachius. In addition, adenoids can become infected themselves where the infection can then spread to the middle ear through the canal Eustachius. 2. The discovery of signs of effusion (effusion: fluid collection in a body cavity) in the middle ear. Children with OMA may experience ear pain or a history of pulling on the baby's ears, ear discharge, decreased hearing, fever, difficulty eating, nausea and vomiting, and irritability. but these symptoms (except discharge fluid from the ears) are not specific to OMA OMA so that diagnosis can not be based on history alone. Middle ear effusion is checked by otoskop (tool to check the canal and eardrum clearly) . With otoskop can see the eardrum is bulging, discoloration eardrum becomes red or slightly yellow and gloomy, and the fluid in the ear canal. If confirmation is required, generally done with pneumatic otoskopi (ear examination with otoskop to see the ear drum which is equipped with a small air pump to assess the eardrum response to changes in air pressure) eardrum movement is reduced or absent at all can be seen by examination this. This examination improve diagnostic sensitivity OMA. But generally the diagnosis of OMA can be enforced by ordinary otoskop. Middle ear effusions can also be proved by timpanosentesis (pricking of the ear drum) . However timpanosentesis not done on any child. Indications include the need timpanosentesis OMA in infants under the age of six weeks with a history of intensive care in hospital, children with immune disorders, children who do not respond to several antibiotics, or with very severe symptoms and complications. OMA to be distinguished from otitis media with effusion that can resemble OMA. To distinguish these it could consider the following things. The definition of mild symptoms are mild ear pain and fever <39 ° C in the last 24 hours. While symptoms are ear pain is medium - heavy or fever ≥ 39 ° C.
Options observation for 48-72 hours can only be performed on children aged six months - two years with mild symptoms during the examination, or diagnostic doubts in children over two years. To be able to choose observation, follow-up must be ensured to happen. Fixed analgesia given in the observation period. British Medical Journal gave a slightly different criteria for applying the these observation. According to the BMJ, the choice of observation can be done, especially in children without general symptoms such as fever and vomiting. weight / day in children with low risk and 80 mg / kg body weight / day for children with high risk. and there is a history of giving antibiotics in the last three months. culture results and antibiotic resistance testing. § In patients with severe symptoms or OMA are likely to be caused Haemophilus influenzae and Moraxella catarrhalis, which are then selected antibiotics are amoxicillin-clavulanate. Another source states of amoxicillin-clavulanate do if symptoms do not improve within seven days or re-emerged in 14 days. § If the patient has a mild allergy to amoxicillin, can be given cephalosporins such as cefdinir, cefpodoxime, or cefuroxime. § In severe allergy to amoxicillin, which is given azithromycin or clarithromycin. § Another option is to erythromycin-sulfisoxazole or sulfamethoxazole-trimethoprim. However, both these combinations are not an option on the OMA that does not improve with amoxicillin. If the provision of amoxicillin-clavulanate did not give results, choices made are ceftriaxone for three days. It should be noted that the cephalosporin used in OMA is generally a second generation or third generation with a broad spectrum. Likewise azythromycin or clarythromycin. Broad-spectrum antibiotic, although they could kill more types of bacteria, have a greater risk. Normal bacteria in the body will be killed so that the balance of flora in the body disturbed. In addition, the risk of the formation of antibiotic resistant bacteria will be greater. Therefore, this option is only used in cases with clear indications of second-line antibiotics. Giving antibiotics in otitis media performed for ten days in children aged under two years old or children with symptoms berat.6 At the age of six years and over, giving antibiotics just 5-7 days. In the UK, the recommended antibiotic treatment is 3-7 days or five days. Cochrane reviews showed no significant differences between the antibiotics in less than seven days compared with the provision of more than seven days. And because of that giving antibiotics for five days is considered sufficient in otitis media. Giving antibiotics in a longer time increases the risk of side effects and bacterial resistance. Analgesia / pain relief Besides antibiotics, treatment should be accompanied OMA pain relief (analgesia) . analgesia is commonly used simple analgesia such as paracetamol or ibuprofen. However, it should be noted that the use of ibuprofen, it must be ensured that the child did not experience gastrointestinal disturbances such as vomiting or diarrhea because ibuprofen can aggravate the digestive tract irritation. done in special cases where the symptoms are very severe or there are complications. The liquid that comes out should be cultured. § Provision of antibiotics as prophylaxis to prevent recurrence of OMA does not have sufficient evidence. Swimming likely not increase the risk OMA. Chronic otitis media is characterized by a history of a chronic discharge from one or two ears. If the eardrum has been broken more than 2 weeks, the risk of infection is very common. Generally, the handling is done is to wash and dry ears for several weeks until the liquid is no longer exit. Otitis media is not treated can spread to tissues surrounding the middle ear, including the brain. But these complications are generally rare. One is mastoiditis in 1 in 1,000 children with untreated OMA..
Otitis media is not handled well can lead to permanent hearing loss. Fluid in the middle ear and chronic otitis media can reduce a child's hearing and cause problems in speech and language. Otitis media with effusion is diagnosed if the stand in the middle ear fluid for 3 months or more. § Children with frequent episodes of OMA. Definition of "often" is more than 4 episodes in 6 months.